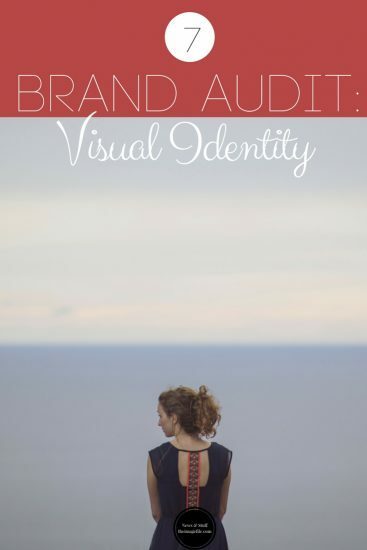 This is the first time we have talked about visuals and design in this brand audit series. This is for a reason. Until you have completed steps 1-6, you really shouldn’t by worrying about how your brand looks. Usually, the majority of us would have thought of the word “audit” and immediately started on the visual side of their business. However, this approach means that you could be missing out on the hidden potential of your brand identity. Before you start auditing your brand’s image, you should gather some visual inspiration outlining everything that your brand requires. This means taking a look at your personal style and taste, your visual likes and dislikes as well as your colour choices. Branding material – whether printed, digital, internal or external – need to be cohesive in style. This doesn’t mean that they can’t have any variety but having solidarity between all your brand materials gives a professional and consistent look to your business. This might seem a little obvious in some ways, but having a unified portfolio is really important when creating a unified design. If you specialise in multiple genres of photography then we would recommend that you choose a genre that you intend to really specialise in and use those images for your home page, as well as separating the genres into specific gallery portfolios. If you have completed the rest of the brand audit steps then you should be ready to start brainstorming. We would recommend using Pinterest to organise any digital inspiration you want to save. Once you have a clear style goal you can start working on your visual branding.